Located in Tallahassee, the Capital Regional Medical Office Building accommodates the expanding physician services provided on the main campus of CRMC. Hoch Associates designed the building to blend with and compliment the main facility which was designed by renowned architect Michael Graves. Space was designed to meet the latest Florida state Building Codes at the time which had placed an emphasis on protection of life and reduction of property loss related to Hurricanes. 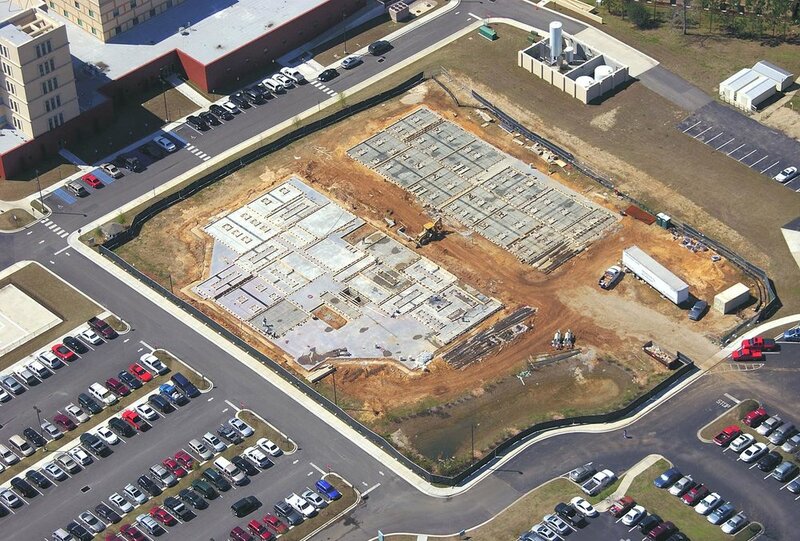 The solution created by Hoch was a concrete tilt wall panel construction that utilized foaming, pouring, and erecting structural concrete wall panels in one continuous sequence at the construction site. Formed recesses, applied shapes and profiles, along with specialty coatings transformed the concrete wall panel façade into an exuberant contextual solution for the site. The building features a patient drop-off canopy and is located in proximity to the main hospital providing convenient access. 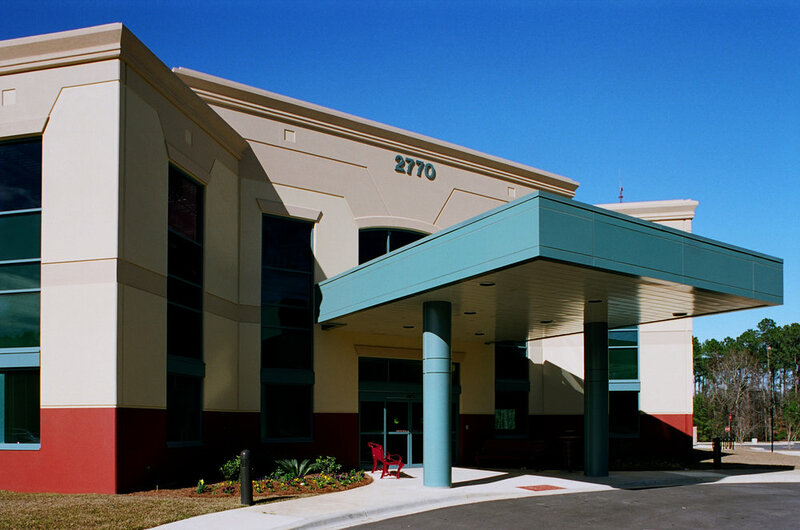 Hoch was also involved in developing several of the individual medical office suites including the Pain Institute of North Florida and the Life Wellness Center.